Setup area: 23 x 70.5 x 10 in. 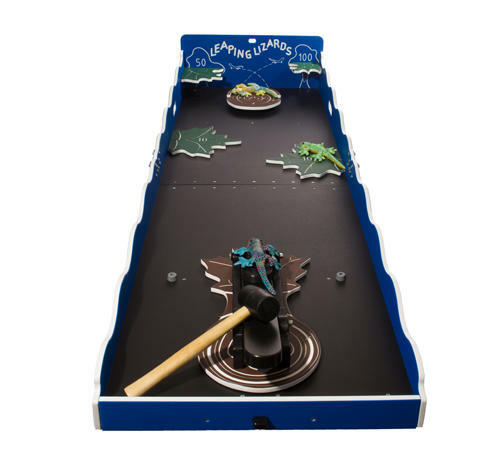 Leaping Lizards is an exciting, interactive game where the goal is to land the lizard on the log or surrounding leafs. 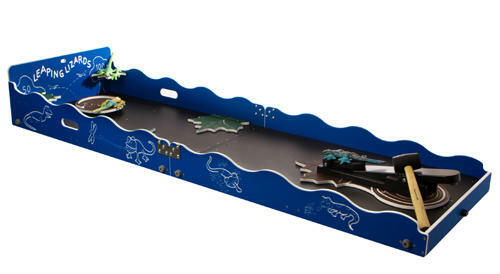 You simply place a lizard on one end of the adjustable arm, aim, and hit the other end with the mallet to make the lizard ‘leap’ onto the desired landing spot. Comes with: 3 lizards, 8 oz. mallet & parts bag Dimensions: Folded - 23 x 35.5 x 10 in. Open - 23 x 70.5 x 10 in. Weight - 42 lbs.